Wounded Times: WHY IS FACEBOOK BLOCKING ADS TO HELP VETERANS? 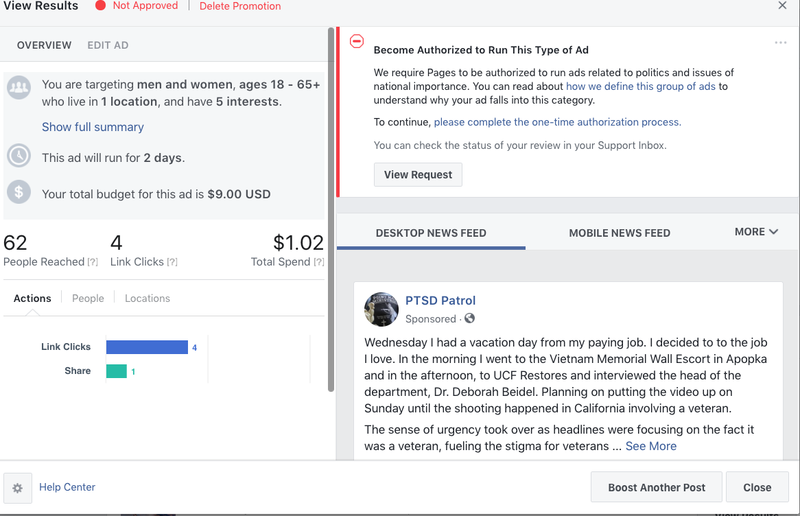 WHY IS FACEBOOK BLOCKING ADS TO HELP VETERANS? Facebook needs to explain themselves to veterans! 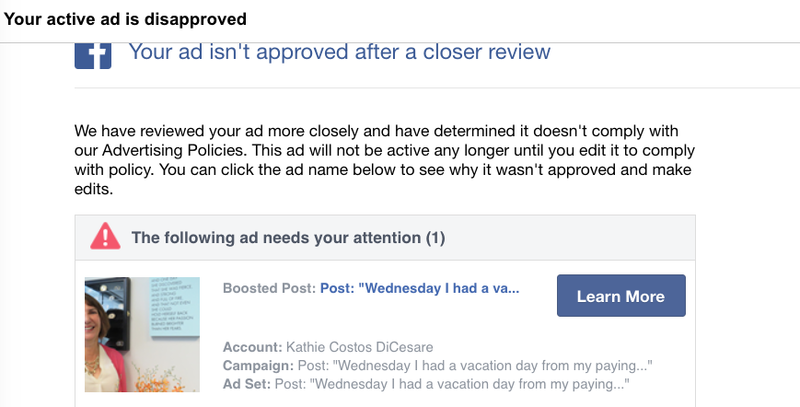 Facebook notified me that I should boost a post, and then turned it down. Why? Read what they sent. What was so offensive? UCF Restores and the program they have helping veterans heal PTSD! Stunning when you consider they must be making a boat load of money off of the folks raising money to "raise awareness" they are talking about suicides. 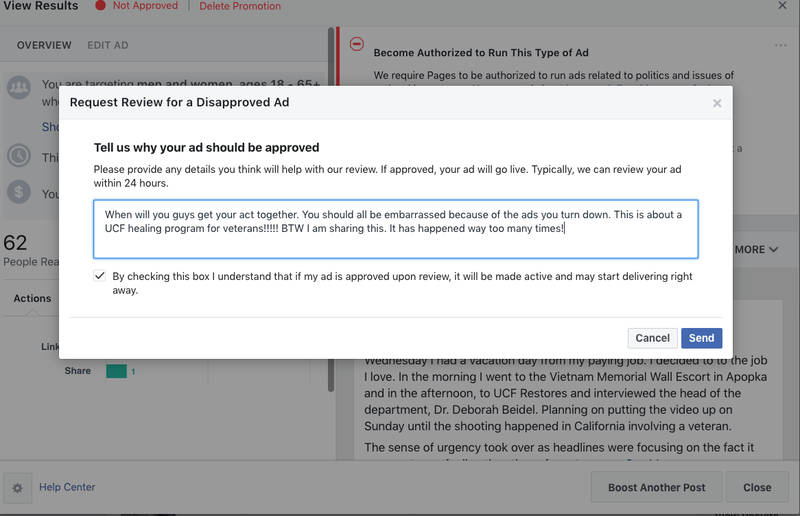 The good thing is that they did allow all of them after I protested. The question is, what are they going to do TO STOP DOING THIS?